The garden sofa is a must, essential for enjoying moments of relaxation in your home. You can choose the sofa according to your tastes and your style. 2 or 3 seater sofas, from classic to modern, from vintage to industrial style, from country to provencal, each of them will be able to make your garden or terrace unique. The materials used for garden sofas are many, the most suitable for those who want to use natural materials, in vintage or classic style are wooden garden sofas. 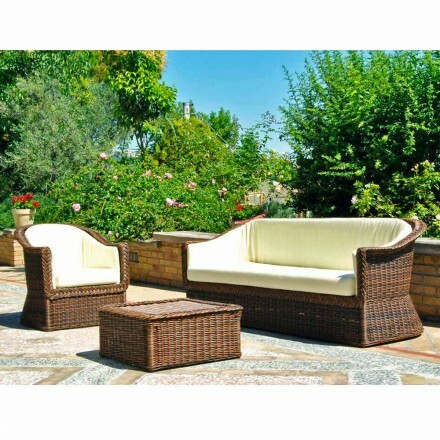 Of outdoor sofas there are many types, specially treated to withstand bad weather and climatic problems. Iroko, a type of African wood very suitable for its resistance to outdoor, teak, a very precious wood native to the south and south-east of Asia and is commonly a component of tropical and subtropical Asian forests. 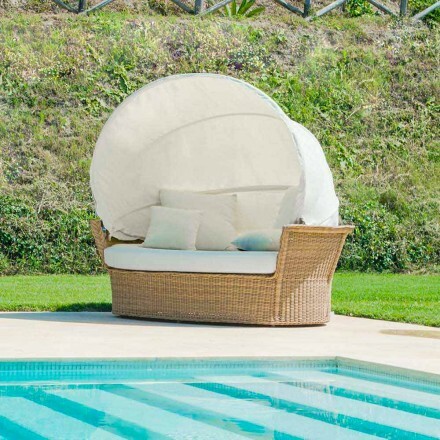 The rattan is often chosen because it is a resistant material but at the same time sought after, as well as being waterproof and light. For those who love a modern style, an iron or aluminum sofa will be perfect, transforming your garden into a haven of peace with a fairytale atmosphere. For the shape and color is everything based on your personal taste plus cushions will be there and more the sofa will be comfortable! Remember that for any doubt you find us at your disposal. It will be a pleasure for us to help you choose the modern or classic outdoor sofa that is right for you! 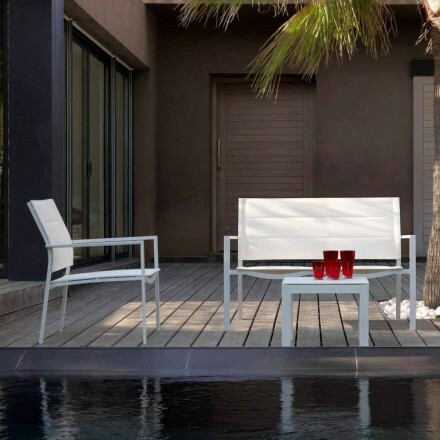 Discover our offers and buy online the garden sofa of modern design of your dreams!